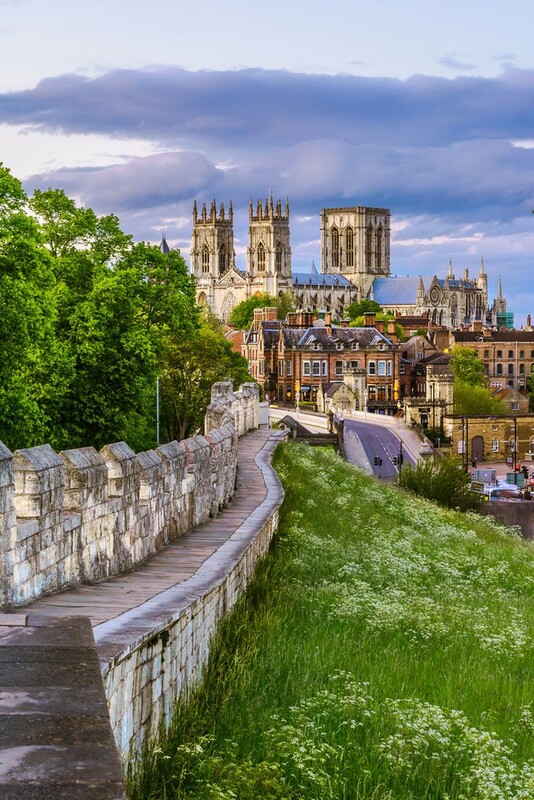 A city with two millennia of history to unpack, York has stupendous historical wonders in a quaint Medieval cityscape. The Romans founded York as a fortress in AD 71, and the emperors Hadrian, Septimus and Constantius I all had their British seat in York while on campaigns. Constantine the Great was declared Roman Emperor at this very place in 306 when his father died. 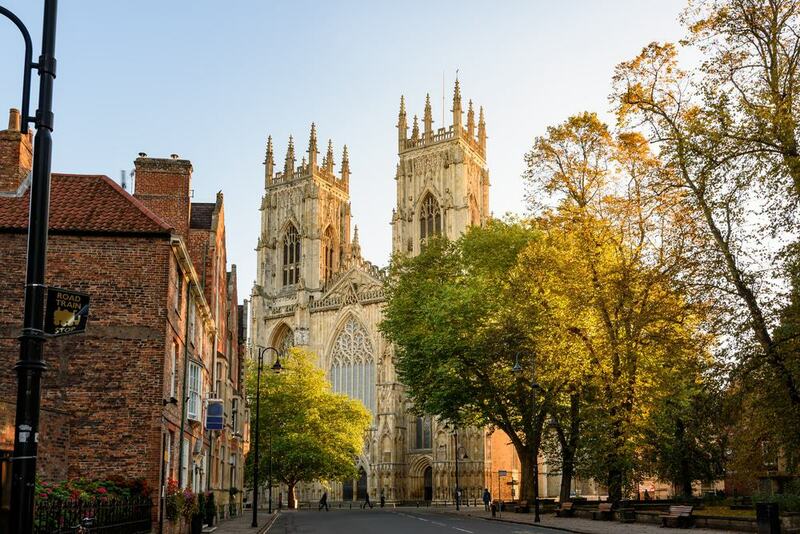 The sight that wins all hearts is York Minster, an English Gothic masterpiece built over the Roman fortress and graced by brilliant Medieval stained glass windows. York continues to be defended by walls that were first raised by the Romans 2,000 years ago, and you can do a full 3.4-kilometre circuit along the battlements. In the Industrial Revolution York became the nerve centre of northeast England’s railway network and is the fitting location for the UK’s National Railway Museum. The city’s cathedral is the largest Gothic church in Northern Europe. There’s much to see, like the 15th-century East Window, which at 24 metres is the largest expanse of Medieval stained glass in the world. Some two million pieces of glass make up York Minster’s 128 stained glass windows, all fitted with elaborate tracery. Maybe the loveliest is the Decorated Gothic Great West Window from the 13th century, with tracery forming a heart shape known as the “Heart of Yorkshire”. Coming up for 600 years after it was built, the Perpendicular Gothic Central Tower remains the highest structure in York at 72 metres. You can go up 275 steps for an exhilarating view over the city’s rooftops. Now, in The Undercroft below the cathedral there’s an interactive exhibition covering 2,000 years of York history, with excavated Roman barracks visible through glass floors and a 1,000-year-old illuminated manuscript. 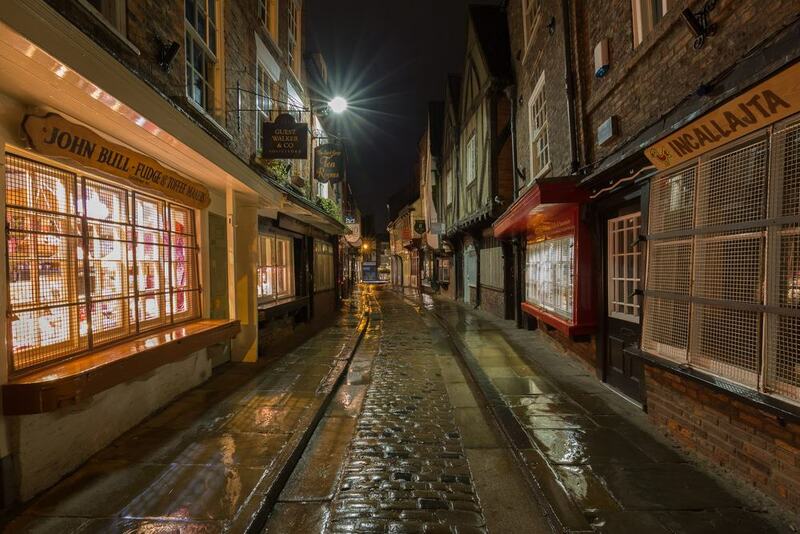 Snaking north to south through York’s historic centre, Shambles is a picture perfect Medieval shopping street. The oldest of the corbelled and half-timbered buildings on Shambles date back to the 1300s. From those times up to the 20th century the street was the reserve of butchers, intentionally narrow to help keep meat out of the sunlight, as it would be presented to buyers on shelves beneath open windows. A few of these shelves are still in place along the street today. Meanwhile the old butcher’s shops have all disappeared to be taken over by tea shops, cafes, restaurants and quirky boutiques purveying leather, fudge, Yorkshire wool and jewellery. York has been ringed by walls since Roman times, and these defences were altered by successive Medieval occupants before gaining their current course and design between the 12th and 14th centuries. The one fragment of the Roman wall still standing is the Multangular Tower in Museum Gardens, raised in the 310s during the rule of Constantine the Great. You can walk the full 3.4-kilometre circuit of York’s walls in a couple of hours. On the walk you’ll see 45 towers and four main bars (gates): Bootham, Monk, Walmgate and Micklegate, all deserving a closer look. Monk Bar has a portcullis in working condition, while Walmgate Bar’s 15th-century oak doors are intact. In the 19th century York became the archetypal railway town, partly through the help of railway financier George Hudson in the 1830s. By the turn of the 20th century more than 5,500 people were employed at the headquarters and works of the North Eastern Railway, and the modern York station is a principal stop on the East Coast Main Line. The National Railway Museum charts 200 years of locomotion, in immense halls containing machines like the Mallard, the fastest steam locomotive in the world. 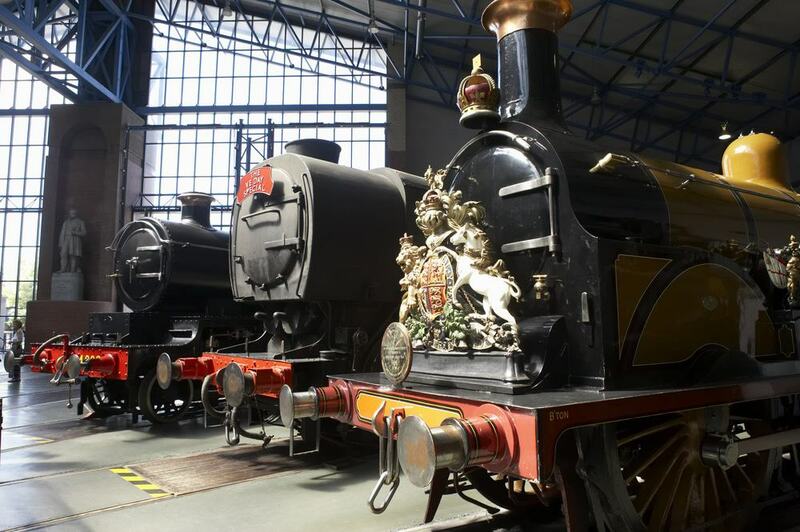 The modern equivalent, a Shinkansen engine also has pride of place at the museum, and these are just two of a fleet of spick and span locomotives on show. The Station Hall recalls a century of life at a working station, while kids can watch engineers in action at The Workshop, explore the inner-workings of engines at interactive displays and take a ride on a miniature train. In the 18th century a lot of the remaining stonework from York Castle’s bailey was reused to build a Neoclassical hall, serving as both an administrative building for the county and a prison. 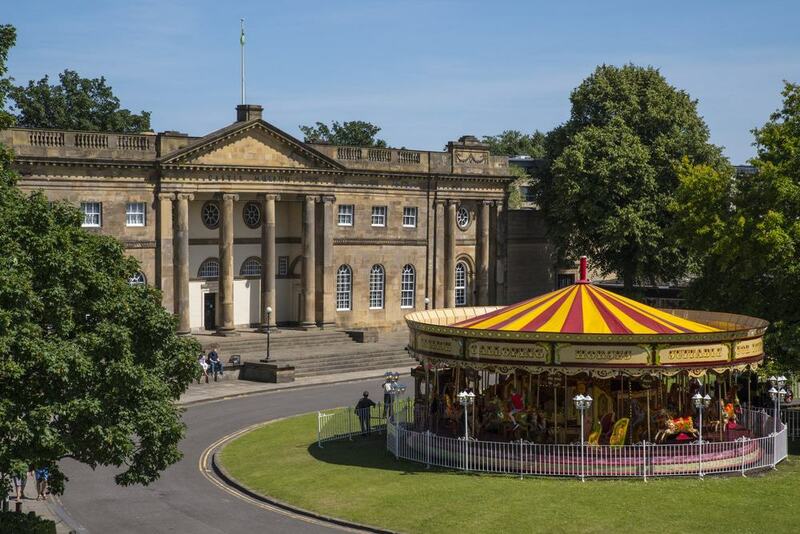 The York Castle Museum was founded here in 1938 and recreates hundreds of years of York’s history. In these interactive galleries you can see some of the cells and learn about life in a Victorian debtor’s prison or live it up at a Victorian parlour and 17th-century dining room. In 2014 the “1914: When the World Changed” exhibition opened, remembering the First World War and its impact on York. You can also go for a walk along Kirgate as it would have looked in Victorian times and relive the fashion and music of the 1960s. The last remaining piece of York Castle is the ruined keep, which stands on a grassy Norman motte (earthwork mound). The previous wooden tower that was built here in the 11th century came to a grim end in 1190, when York’s 150-strong Jewish population was besieged by a mob and opted to commit suicide as the tower burnt down. 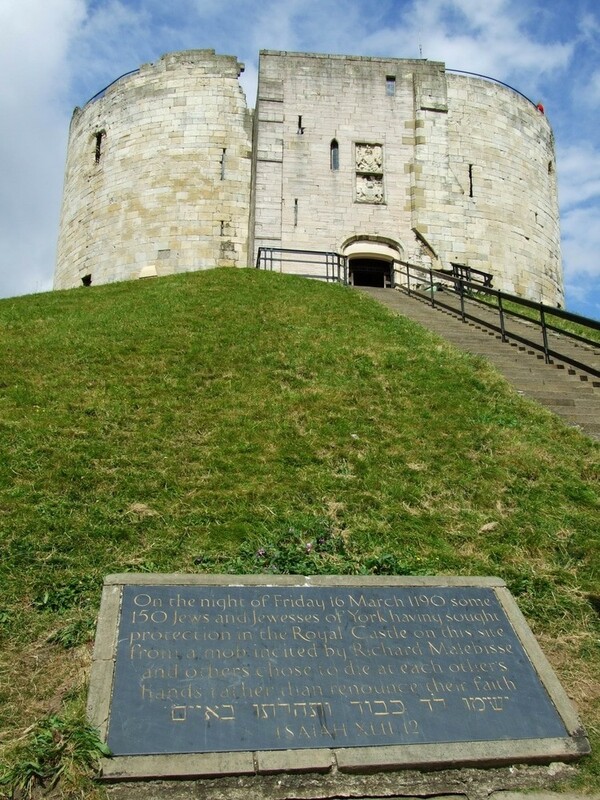 The stone keep dates to the 13th century and is a part of York’s identity despite being gutted by an explosion in 1684. The tower was used as a treasury and prison, and has information panels explaining what came before. You can get up onto the battlements to contemplate York Minster, the city and the moors in the distance to the north. 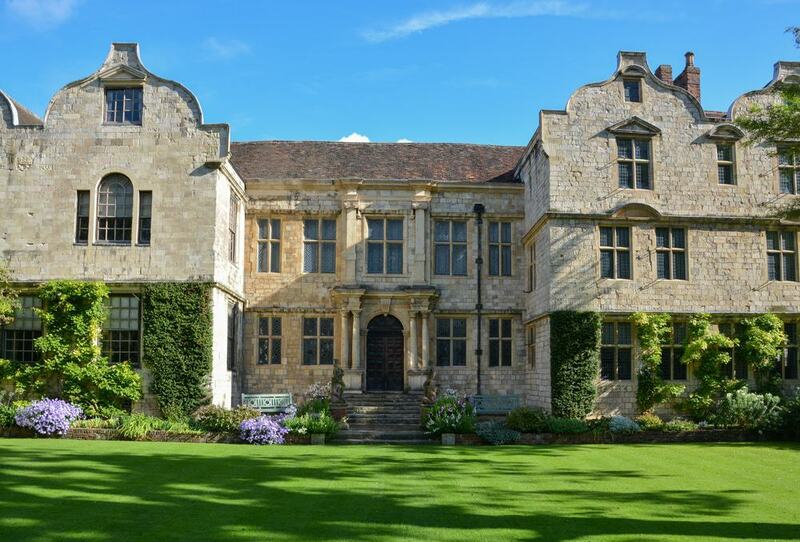 Just north of York Minster is the Treasurer’s House, a grand residence where the Minster’s Treasurer would receive important guests. When this post was abolished by Henry VIII the house came into the hands of three successive Archbishops of York. There are building elements from the 11th and 12th centuries, but most of the Treasurer’s House as it appears today is from a Mannerist redesign in the early 17th century, when the curved gables, window pediments and Classical entrance were built. In the 19th century the house belonged to the rich industrialist Frank Green, and his splendid furniture collection is on show inside. Also special is the main hall, ordered by Green and with an exquisite half-timbered gallery. A superlative monument from Medieval York, the Merchant Adventurers’ Hall is a timber-framed guildhall that can be traced back 1357. It was founded by a religious fraternity that was eventually granted the status of Merchant Adventurers by Queen Elizabeth, and was a base for the guild to perform its charity, business and spiritual obligations. 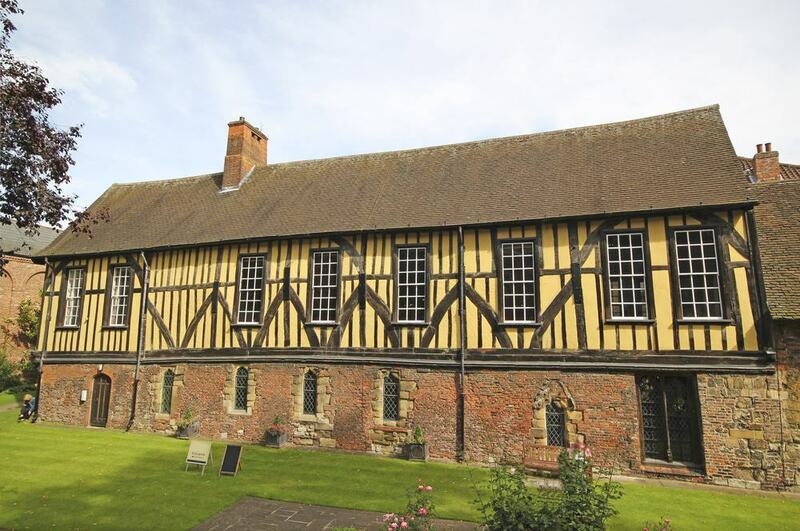 The three main spaces at the hall are the imposing Great Hall for feasts, the Undercroft, which was used as an almshouse for the sick and needy, and the Chapel where the merchants and people living at the almshouse would worship. There are still 160 Merchant Adventurers in York today, and you can hear about some of history’s prominent Merchant Adventurers and see an array of artefacts from the guild’s long history. A fine Georgian townhouse next to Clifford’s Tower, the Grade I listed Fairfax House is a museum recording how the other half lived in the 18th century. 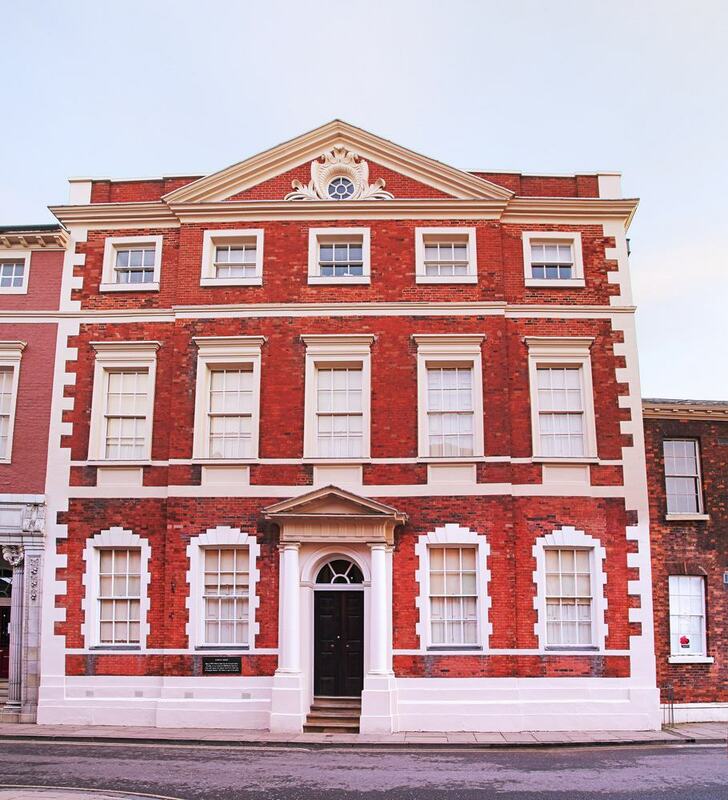 The building dates to the 1740s, and in 1759 was bought as a winter home by 9th Viscount Fairfax of Emley who hired the eminent architect John Carr to remodel the interiors. Over time the building was used as a gentleman’s club, building society and cinema, before being restored in 1980s and turned into a museum. The interiors are appointed according to the tastes of the day, with dainty stuccowork on the ceilings, damask wallpapers, musical instruments, portraits and antique books. You’ll get in touch with the evening entertainment to social commitments and dining habits of the period. 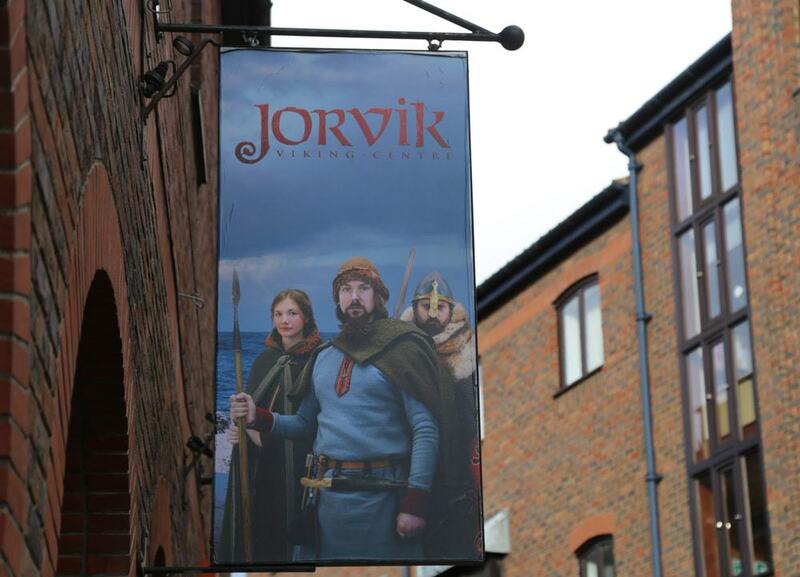 In the 9th and 10th centuries York was controlled by Norse warrior kings known as the Kings of Jórvík (Norse for York), and that heritage is celebrated at this edutainment-style attraction. The Viking Centre was hit by the floods in December 2015 but took the opportunity to modernise, reopening in spring 2017 after a refit. You’ll go on a ride back to 960 when York was under the yoke of the last Viking King Eric Bloodaxe, descend 6.5 metres to the reconstructed Viking-era Coppergate trading street, admire some 800 authentic artefacts up close and get to see Viking craft demonstrations by costumed actors. The lifelike mannequins at the Viking Centre have an interesting story as they have been modelled using skeletons excavated at a Viking-era cemetery. Founded in 1088, west of York’s city walls between Bootham and the Ouse, St Mary’s Abbey was at one time the richest Benedictine abbey in the North of England. 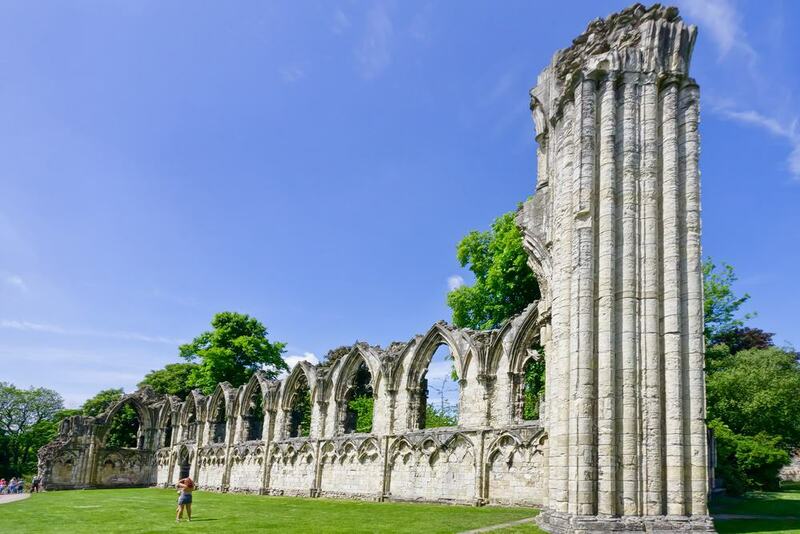 Its ruins lie in what is now the Yorkshire Museum Gardens after it was dissolved under Henry VIII in 1539. Although a lot of its stone was removed in the 18th century, a long stretch of the nave wall and a tall section of the crossing are still here, broken by pointed Gothic windows, and with beautiful tracery on the blind aches below. There are traces of the cloister, hospitum, Abbot’s House, West Gate and a large extent of the protective walls built in 1260. 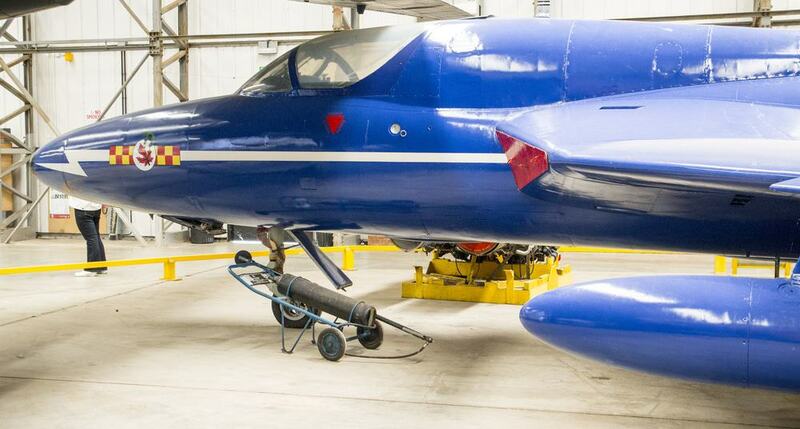 At what used to be the RAF Elvington airfield, the Yorkshire Air Museum stands out both for its fleet of aircraft but also as the most complete Bomber Command Station open to the public. The museum’s 50 aircraft span the development of aviation, from the replica George Cayley Golder (1853) to a Panavia Tornado multi-role combat aircraft (2003). There are seven examples from the Second World War, all in mint condition, including a Handley Page Halifax bomber and a De Havilland Mosquito, with fuselage made almost entirely from wood. Check the calendar when you visit York as the museum stages regular “Thunder Days” when you’ll see, smell and hear the operational Second World War and Cold War machines up close. 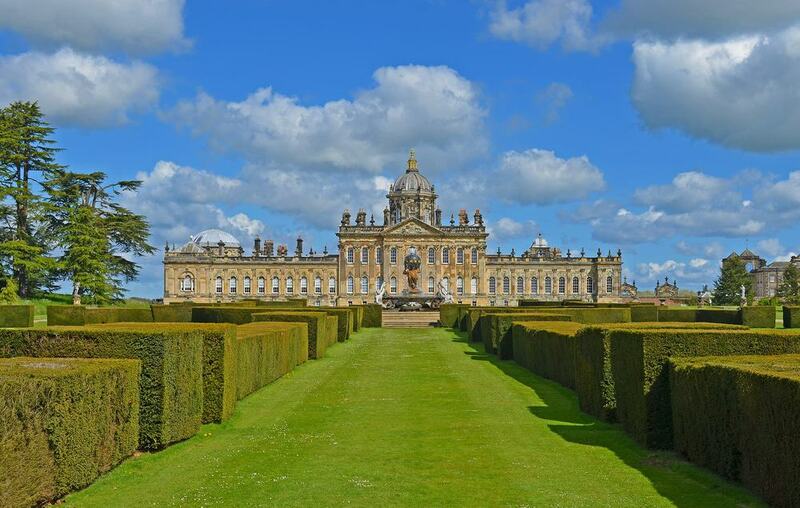 A 14-mile drive from the Vale to the Howardian Hills, Castle Howard is a trip that needs to be made. This English Baroque stately home was designed for the 3rd Early of Carlisle by John Vanbrugh, one of the foremost architects of the day, who also happened to be a playwright. Construction was drawn out, beginning in 1699 and after a few Palladian modifications, not finishing until 1811. The lasting image is the central dome, over a balustrade, cherubs, coronets and urns, and fronted by a pediment and pilasters. Go in to see portraits, period furniture and opulent decoration, while information boards telling the story of each room and the people who lived here. The 1,000-acre grounds are just as special, comprising an 18th-century Walled Garden, a Woodland Garden, lakes and waterways and a variety of Grade I listed temples and monuments. 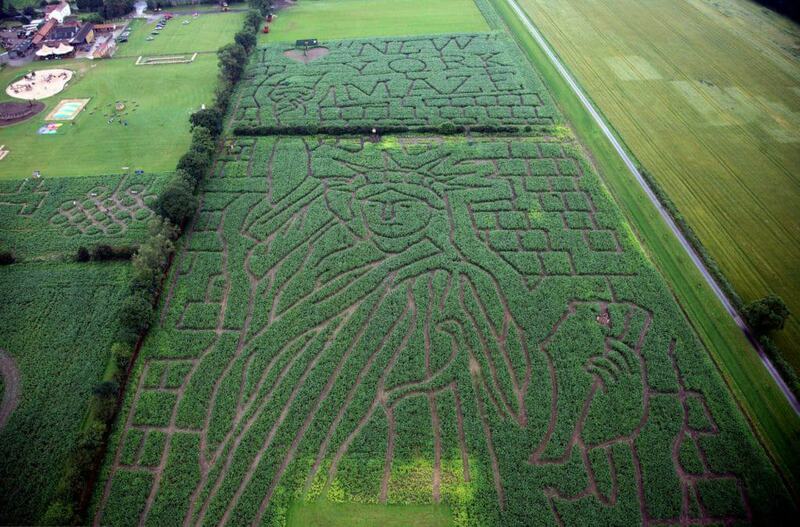 The UK’s largest maze is open for just a small window every year, during the school summer holidays between mid-July and the start of September. The “Giant Maize Maze” is planted with a million individual maize plants, and is of course the biggest draw, but there are all kinds of side attractions to keep youngsters active. Kids can try and solve the Maze of Illusions, the Mineshaft Maze and the Finger Fortune Maze. Also on hand is a “Cobstacle Course”, straw bale mountain, a tractor trailer ride, the “King Kernel’s House of Confusion”, crazy golf and even pig racing. English Heritage’s most modern property is a slightly unsettling 20th-century artefact. 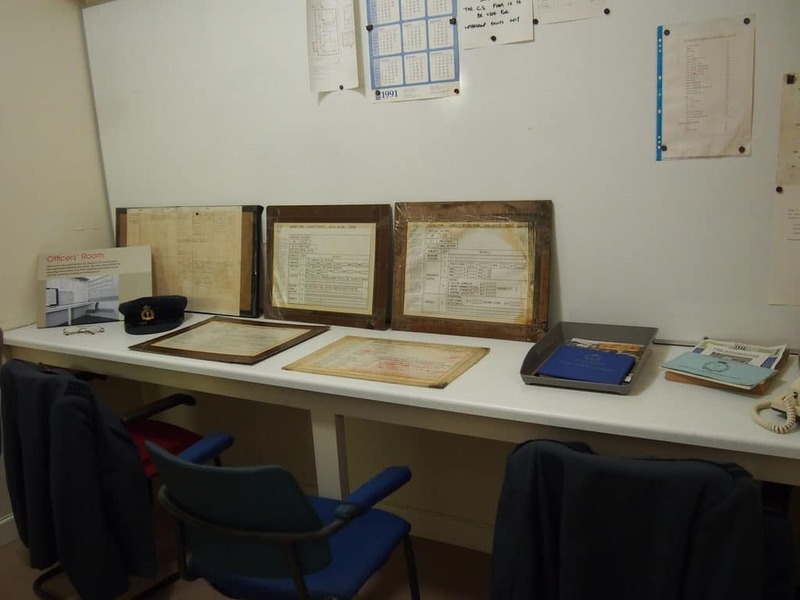 In the western Holgate suburb, the Cold Bunker was commissioned in 1961 and is the only Royal Observer Corps (ROC) bunker that has been preserved. In the Cold War the ROC would have had the responsibility of warning the public of impending attacks and assessing nuclear fallout in the UK. The bunker supported 60 ROC personnel, and from Wednesday to Sunday you can go in to check out the dormitories, air filtration and generation system, canteen, kitchen, operations room, communication equipment and computers from the 1980s.